Download Bendy and the Ink Machine Chapter Three (2017) for Mac OS. 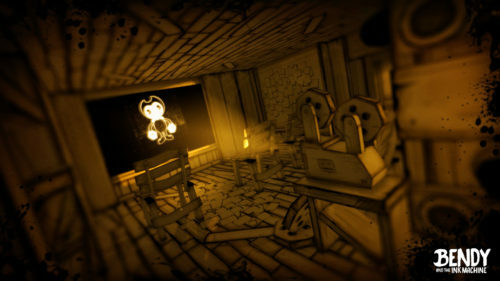 New interesting first person horror video game developed and published by TheMeatly Games. 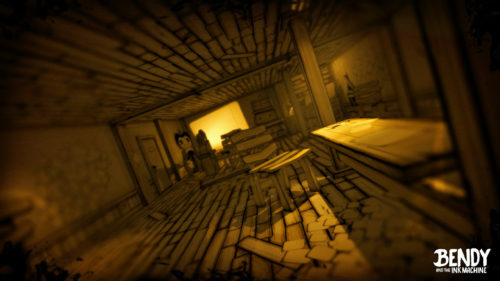 «Bendy and the Ink Machine™» is a first person puzzle action horror game that begins in the far days past of animation and ends in a very dark future. You play the part of an ex-animator. After you left your studio, your old partner and you parted ways. Now, many years later, you hear from him again. He wants you to return to the old studio. But, what you find there is disturbing indeed. What seems like an ordinary abandoned studio soon turns into a nightmare. But, what you definitely should not do is turn on that machine.